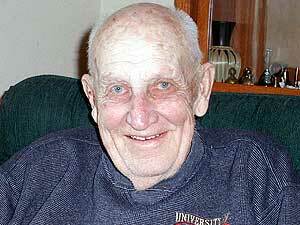 Mr. Legrand was a broadcasting legend in Fergus Falls, Minn. He was profiled almost 10 years ago by the late Bob Reha of Minnesota Public Radio. Sadly, many people of small-town America — and certainly big-city America — have no idea in today’s media universe what that means and how important it was. If you can dust off the RealPlayer program, you can listen to some of Legrand’s play by play. Growing up in the area, ‘Oats’ was indeed a legend. I listened to many of his broadcasts, and played in a few games he called. Listening to his game calls was always entertaining, and the couple of times I met him in person, he was unfailingly kind and gracious. I will miss you dearly Grandpa… just know we will be there to love on Grandma until she can be with you. I am so proud of you and the memories you gave us and left for us.